Hope you had a wonderful Easter and/or break! Spring has finally arrived here in the Northeast and although there are still some white patches of snow/ice on the ground, I can finally see some life: birds chirping and having death wishes sweeping across the front of my car when I drive, flower buds coming out of the ground and on the trees and I finally took the leaves out of my garden beds to find my garlic plants coming out already. Now let's get down to the crafty stuff. I have been busy creating things in my studio but my cold/flu kept me from posting anything on the blog or figuring out dates for new classes. Finally after Easter, I have a bit of time to update everyone with new things. 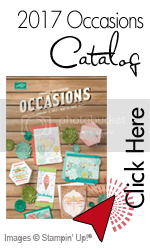 First of all Stampin'Up has a super limited time promotion this week only and you do not want to miss it because it is a first in Stampin'Up's 20+ year history. 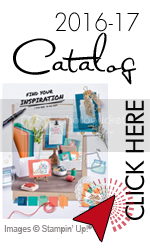 Second, I will host a different type of class soon and it relates to something dear to my heart...scrapbooking!!! 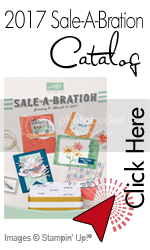 This month's gallery will feature some Easter theme projects as well as some retired Sale-A-Bration products because I believe you should still have ideas on those beautiful products you earned during the past three months.